"I recently started seeing this little girl, a teenager roaming the streets of Ajegunle. And i will be wondering where she came from, where her parents or guardians are? Thinking of how to help her. I stopped one day to make friends with her. "I brought out 100 naira to give her and see if i can elicit any info from her. But she ran off before i got to where she was standing. 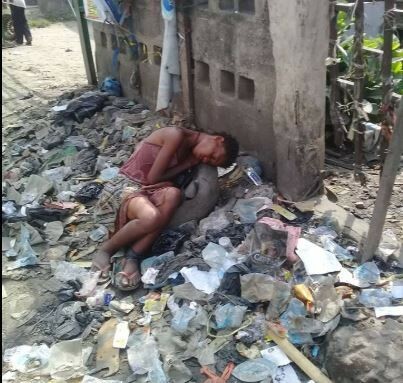 Today, i saw her sleeping on a heap of refuse at New road bus stop, Bale street, Ajegunle. This place is close to St Charles Catholic church and the Local government Chairman's family house. I took the first pic. Then went closer. She is still breathing. I think she is sick." "My Chairman sent me messages with pictures of the girl's evacuation. 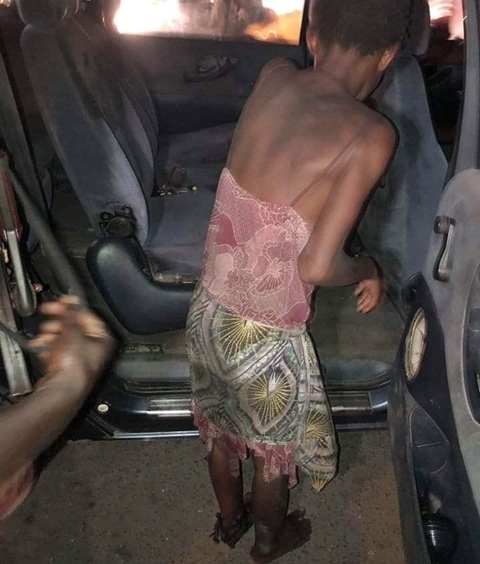 He PERSONALLY took her to the health centre in the company of the police. "The M.O of the Health Centre is presently attending to her medical needs. GPE shows she's delirious, febrile among other findings. "Thanks to you all. We made it. This is the power of Social media. You see, if your Chairman is not like mine,don't re elect him. Just left the health centre. The Sick girl is responding to treatment' she wrote. "Thanks Hon Adekunle Fatai Ayoola! You have made me proud."